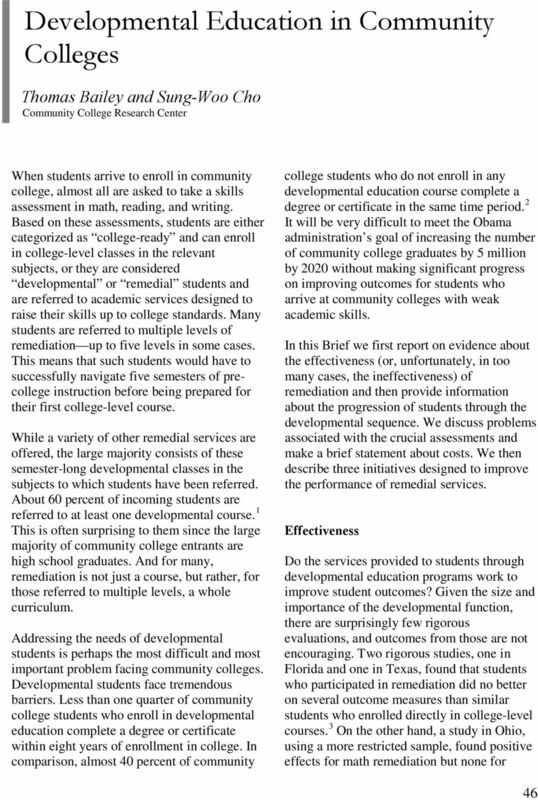 CHALLENGE AND OPPORTUNITY: RETHINKING THE ROLE AND FUNCTION OF DEVELOPMENTAL EDUCATION IN COMMUNITY COLLEGE. Thomas Bailey. 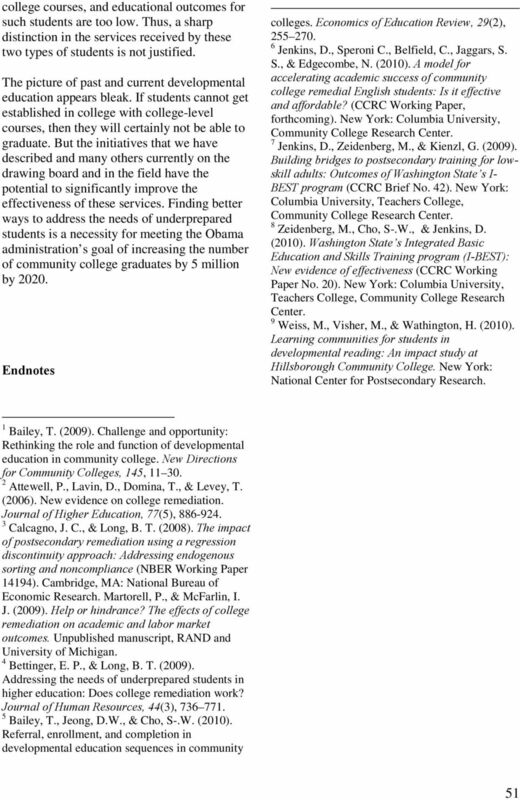 Abstract Title Page Not included in page count.